At the moment I'm cultivating in the little space of my balcony, and who sow so much know that before or after will have space issues. It's for this reason that I end with many seedlings in surplus that I can't maintain and that I have available for sale or exchange. In questa pagina troverete i miei listini di piante, semi, e la mia search-list, dove indico le specie che sto ancora cercando. In this page you will find the list of plants and seeds availabe and my search-list, where I list the species that I'm still looking for. 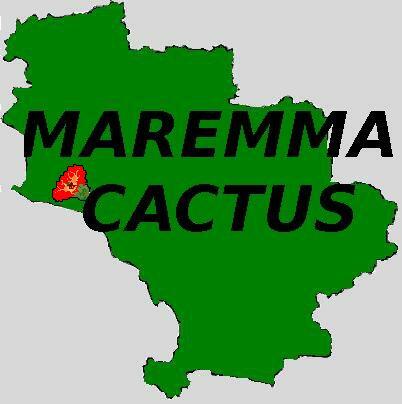 > Per ordinare basta contattarmi alla mail maremma.cactus[@]gmail.com con i nomi delle specie desiderate e il vostro indirizzo. Risponderò informandovi sulla disponibilità di quanto richiesto e sui costi di spedizione. > To order just contact me at the email maremma.cactus [@] gmail.com with the names of the species you want and your address. I will reply informing you about the availability of what you have ordered and the shipping costs. >Accetto pagamenti tramite PayPal o PostPay (anche se la prima opzione è preferibile). Prima del pagamento, aspettate una mia mail di conferma con il totale preciso. > I accept payments via PayPal or PostPay (even if the first option is preferable). Before paying, wait for my confirmation email with the exact total. >Generalmente spedisco per posta prioritaria, ma se volete possiamo accordarci diversamente. >Generally I send the parcel via priority mail, but if you want we can arrange otherwise. >Nella gallery troverete alcune foto delle piante in vendita o delle piante madri da cui ho ricavato i semi. >Se volete essere sempre avvisati quando pubblico un nuovo aggiornamento dei listini, posso inserirvi nella mia mailing list. Per essere inseriti nella lista basta farmelo sapere tramite facebook o mail. > If you want to always be notified when I update a list, I can add you to my mailing list. To be included in the list, just let me know via facebook or email.